I wonder what made the difference? The constant pressure valve body in Pat's trans was probably the big difference between his and yours and why his converter did this. They tend to get hot at higher rpm's and flatten the fins in the converter and become inefficient. That's great to hear it didn't hurt the trans. A lot of times the converter bearings come apart and get in the trans and reak havoc on the fluid etc. Could be; I'm just glad I didn't have to go through a complete rebuild again. It'll be nice to get it back on the road next spring. Trans is back in and I got my seats back from the upholstery guy and installed. Also took my speedometer out and shipped it off to get repaired. I’ve got several little things to fix over the winter; it’ll be great to have a lot of the bugs worked out. Mike P, TooMany2count, Dave Severson and 10 others like this. The whole interior actually. Very nice. Thanks! Just ordered a new Quick Fuel carb to replace the old rebuilt Holley, too. The interior really came out super! Congrats! Those seats look awesome! Mike's right, the entire interior looks great! 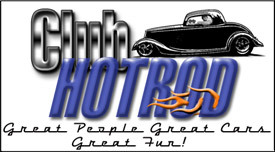 Do you want to do a 40 Ford this winter? I think I need to get a few more under my belt before I attempt it for someone else! I already have front seats. They're new. Got my brakes done; I made new brackets for the calipers and put on new rotors. Hopefully that will fix the problem; everything seems to line up better. Also put on a new QuickFuel carb and got my speedometer back from the repair shop. Mike P, NTFDAY, randyr and 2 others like this. That is a very cool interior, nice looking engine too. Looks like a fun car. Nice beefy discs, they should slow you down nicely and just in time with the new carb in!